Located across from the gas station at the intersection of the Mount Washington Base Road &frac13; mile west of ski area main entrance. We at Drummond's Mountain Shop are celebrating our 25th year in Bretton Woods, New Hampshire. 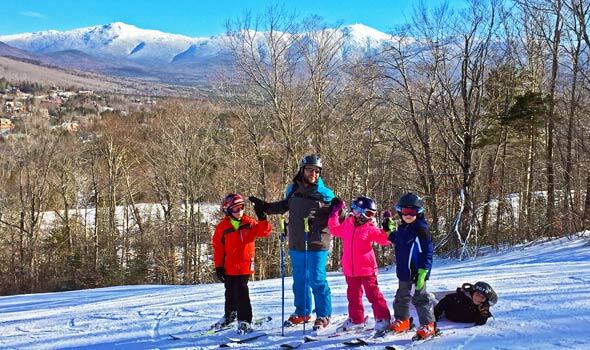 We are pleased to announce a new partnership with Bretton Woods Ski Area that will give Free Season Passes to Bretton Woods for your children when you purchase their season rental through our shop. This program is for children ages 5-12 years old. Why Lease with Drummond's Mountain Shop? 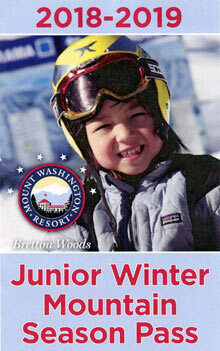 Children ages 5-12 will receive a Season Pass to Bretton Woods when leasing with us!! We are located right here in Bretton Woods on Rt 302 across from the Irving Gas Station. We are truly a One Stop Shop! Rentals-Retail and Service all under one roof. We are committed and cater to families from all over New England and beyond. We offer fresh tuned and well-adjusted equipment, famous rental brands such as Volkl , Rossignol, Fischer and Dalbello. It is less expensive to rent than to buy. No hassle waiting in long rental lines. And, once again, we are right here in Bretton Woods, New Hampshire!! Drummond's Mountain Shop will require a valid license and credit card when renting. We do not hold a deposit for our season rentals, we will only hold a card imprint and license information on file when leasing. All leased equipment is due back by April 28, 2019. We also offer helmets to rent or to buy. Once the rental purchase is complete, you will receive a voucher to register online for a Free Season Pass. Please see the Bretton Woods Junior Pass Program Page for more info and important dates and deadlines. Copyright © 2005 - 2017 DrummondsMountainShop.com.